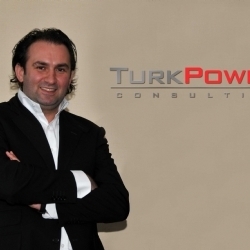 New York, NY- TurkPower Corporation (OTCBB: TRKP) (the "Company") announced that is has signed a consulting and sell mandate with the owner of a lignite fired thermal power plant project, to consult in the development, construction and financing of its 500MW capacity lignite thermal power plant ("TPP") project in Konya, Turkey. The TPP project comes including a lignite mine which is dedicated exclusively as the fuel source for the project. The economical lignite reserves are calculated to be 152,000,000 million metric tons and can supply the TPP for up to 42 years; life cycle of the TPP is 30 years. The mine shows an average lignite thickness of 12 meters and the licensed mining area is 1,852 acres and the license is valid for 42 years. Site exploration studies for a bankable mining plan were conducted by North American Coal Corporation. Total investment necessary to fund the project is approximately $1.26 billion, of which 30% is to be in the form of equity. Pursuant to the agreement, the Company shall receive consulting fees upon closing of the TPP project for its consulting and financing services. Construction is to commence within 12 months after signing of an agreement with the buyer or investor of the project. Preliminary design was completed by Foster Wheeler, USA. Ryan E. Hart, the Company's Chairman commented: "The Konya TPP project represents a huge opportunity for TurkPower and we are very pleased to be consulting this project on an exclusive basis. Turkey which was the second fastest growing economy in Q1 and Q2 of 2010, and also home of the second fastest growing energy market in the world, is still growing at a very high pace and is expected to do so in the next decade. The daily growing power demand can only be satisfied with large investments in the Turkish energy sector. The Company's management is working on signing more similar projects in the fields of coal and hydro power plants in the coming months." The Company would like to caution its investors that while it is very excited and optimistic about the lignite TPP mandate and other similar large projects, there remain uncertainties and the Company will not be compensated for its efforts until a binding agreement with a purchaser or investor for the lignite TPP project has been signed.